David Richardson was elected to the State Legislature to represent District 113. This marks a tremendous victory for the LGBT community not only in Miami-Dade County but also throughout the State of Florida. I would like to take this opportunity to thank you for all that you did to help make David’s victory possible. Whether you donated to our PAC or David’s campaign, worked on one of our phone banks, worked at the polls, or voted for David, SAVE Dade’s unwavering support was a major factor in making his victory possible. Florida’s journey to total equality, including marriage equality, is far from over. But David’s victory is a big step forward for our community. *Davidson may have some gay company come November as Orange County candidate Joe Saunders also won his Democratic primary. Saunders faces stiff GOP opposition in the general, however. 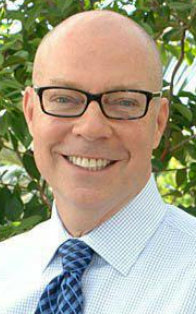 In Key West, openly gay Democrat Ian Whitney also advanced to the general as he ran unopposed today. Gay Miami Herald reporter Steve Rothaus exults: "Florida has not only broken the lavender ceiling, we could shatter it entirely."